The Ice King Hand Blade is a 12 inch wide by 1/2" thick blade with a 4 foot handle. 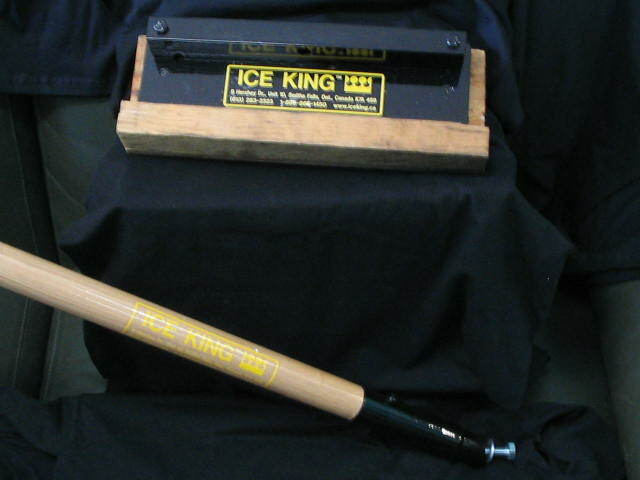 This unique piece of equipment offers effective clean up in those hard to reach areas.They are precision ground and honed by Ice King. Ice King Hand Blades can be purchased with or without a handle.